Wow! 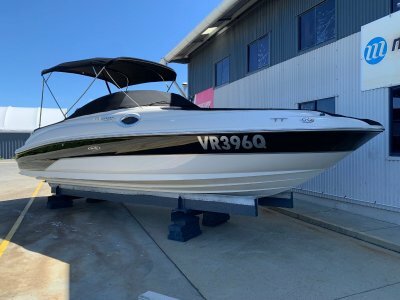 Check this out, never anitfouled and always dry stored under cover with only 81 hours use on a 280hp Volvo Penta duo-prop sterndrive with optional Volvo neutra-salt flushing system fitted. Great allrounder made in Australia for Australian conditions. 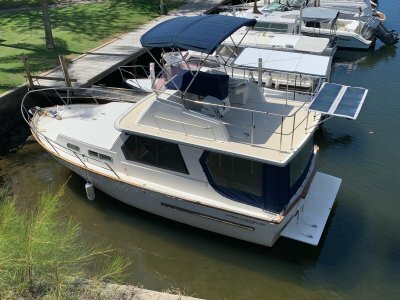 This one has been nicely kept and is ideal for someone looking for a cruiser that is better than the others on the market. 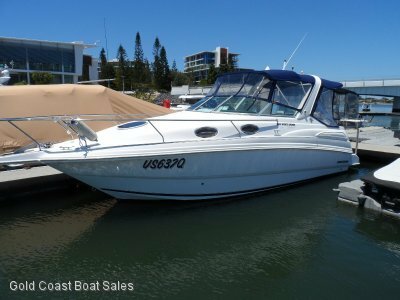 These are a proven hull and the most popular cruiser in its size class in Australia with numerous Marine Industry awards. CONTACT OUR OFFICE TODAY FOR MORE INFORMATION AND AN INSPECTION! 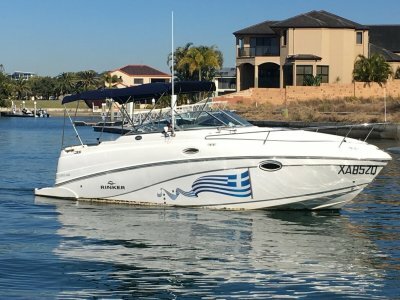 Our Runaway Bay Marina based GOLD COAST WATERFRONT office offers all details of this vessel in good faith as furnished by the owner but cannot GUARANTEE nor WARRANT the accuracy of this information nor the condition of the vessel, inventory inclusions are subject to change or deletion without notice prior to sale. We are looking for good quality cruisers to sell so contact us today for a no obligation evaluation of pride and joy! We look forward to your call..
A/h Stuart Stephenson 0424 800 000.